Artificial Intelligence (AI) has proven to be a groundbreaking marketing tool having a profound impact on digital marketing strategies around the globe. AI is effectively revolutionizing the way businesses are targeting their customers. A recent Salesforce marketing report showed that 57% of marketers consider AI to be an essential tool in personalizing their customers’ experience. These marketers plan to incorporate AI even more into their marketing strategies over the next few years. AI has made it possible for the customer experience to be tailored according to individual interests and preferences. They’re enabling marketers to make data-driven decisions with the help of digital marketing tactics such as search optimization and ad targeting. AI analytics can mean great things for video as well. Read on to find out how. When it comes to effective marketing, a one-size-fits-all approach no longer cuts it. With technology advancing day by day, customers expect to view videos that are suited to their wants and interest. AI can efficiently review users’ online behavior, their social interests, and their search queries to build targeted and relevant ads. These are more likely to be favored by the customers than random ads. Also, personalized content has proven to result in a higher engagement rate, making it ideal for marketers. When it comes to investing in video marketing, smaller businesses and startups are understandably hesitant to invest a huge amount of money on relatively untested marketing channels. They are more likely to invest their budget in channels that have a solid ROI. AI analytics can help you test out marketing strategies and their potential ROI before you start implementing it extensively. It can help you determine how the audiences would respond to it, enabling you to decide if you should proceed with it. Customers that are bombarded with completely irrelevant ads will find it a nuisance. It is up to the marketers to provide video content to those customers who have specifically searched for that service or product. Since 64% of customers are more likely to buy something after viewing a video on it, AI analytics can make sure your video marketing efforts aren’t going to waste. AI can help marketers observe and evaluate customer response in real time. 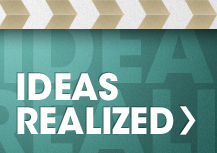 This can help them modify the video content that’s being sent out to customers. For example, if AI-obtained data suggests that the viewer is clicking away from a video at one point, this data can be used to modify or shorten the video to keep the viewer more engaged. 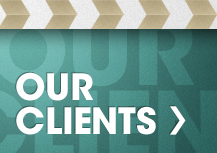 If a particular graphic or CTA is showing a higher click-through rate, it can be repeated more often, and so on. 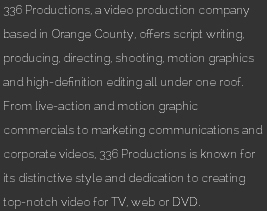 Conveniently located in Orange County, we are a video production company that provides clients the best service when it comes to corporate video production. 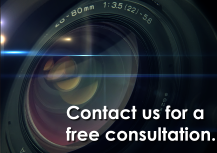 If you want to start incorporating video into your marketing strategy, contact us today!